Being a bit of a sceptic before I started my degree course at university and had my rigid mind hammered into being a bit more flexible, I must admit that flower essences are not something I have used very much at all, though I am by now convinced that they do indeed work. I tend to look at these things on several different levels – first off, plants can give us a different archetype to aspire to, a different way of looking at things, and can be just what the mind needs to shift slightly onto a different track, and allow us an alternative perspective on whatever trials and tribulations we are currently struggling with. Then of course I tend to believe that everything is connected in its own way, and from that viewpoint, it is not a particularly long leap (for me, at least) to believe that a flower essence made with the right intent can have powerful effects on the mind. Since the mind and how it functions can have a profound effect on an individual’s health, this means that flower essences really can be one of the most useful tools in the healer’s arsenal (though this is perhaps not the best word to use – arsenal is such an aggressive word to use at times!) For myself, when I use that particular aspect of a plant’s ability to heal, it is usually to use small doses of a particular herb in a patient’s herbal medicine mix, to bring about the mental change that is needed to improve health. I suppose that to better explain this (to myself as well as others) it is important, for me at least, to return back to the musings I engaged in whilst at university, on the nature of plant medicine and the different kinds of doses used. During my third year, we encountered a very different way of looking at things, and during one such lecture, I realised that for me at least the methods of using plants fell into about five different categories. Earth doses are, to me, the big, material doses that bring about a physical change, like giving someone a huge dose of milk thistle to counter poisoning by a particularly unpleasant fungus. They’re large amounts of herbs that are given to sort out a problem quickly, on a predominantly physical level. After this, there are water doses – teas and decoctions for the most part – which have a marked physical effect which is often a little slower than the earth doses. Teas for cystitis are a good example of this for me, and anyone who has had a cup of corn silk will almost certainly be able to back me up on how quickly this relieves the discomfort! After this, there are air doses – tinctures in quantities that you would think are not going to do much for a patient pharmacologically but somehow bring about massive changes anyway, in utter defiance of much logic, though I always think that if a hormone released by the body can have such a massive effect even in such tiny quantities, then why would 10mls of a tincture not have an effect as well? But I digress, as usual. To return to the topic in hand – fire doses are the herbs given to ‘push’ the herbs where they are needed; ginger, for example, or the various aromatic tinctures. Finally, there are spirit doses, and this is where I put the flower essences and the tiny doses of herbs that I find are so useful in helping to change a mindset, like horsetail to help someone who is very ‘scattered’ learn how to impose the borders that they often desperately need, or willow to teach flexibility. For me, this works quite heavily on the astrological method, and while it is not quite the same as using flower essences themselves, it is close enough that I can draw a few parallels in how they work. Both bring about a change in perspective, in viewpoint, which can have a massive and profound, though subtle, effect on how a patient lives his or her life and therefore how physically and mentally healthy they are. Recently I’ve been experimenting with making a few more flower tinctures – so this May, I’ve made a white archangel flower tincture, and a hawthorn flower tincture, as mentioned in my last post. I’m going to make a lot more flower tinctures over the next few months all being well, because while I do not tend to use flower essences, I do use flower tinctures quite a bit. The white archangel tincture sat in the sun for two weeks, and when I finally bottled it and tasted a little, the flavour was really quite surprising. You don’t get archangel’s initial drying taste from a flower tincture until after you’ve swallowed. The first thing that hits the palate is a mellow sweetness, with a flavour almost like honey and raisins. The dryness only really hits on a subtle level several minutes later. I think I’d use this one to soften up those who have become cynical. Not so much to bring innocence, but to allow a milder perspective on things. Maybe to return people to a cup half full mentality when they’ve tended to go too far in the other direction. I’m going to meditate on this one a little further and see if I can pick anything else up from this lovely plant. Secondly, the fresh hawthorn flower tincture. This smells very typically like hawthorn flower – musky and with a faint hint of vanilla and fish. Not wholly pleasant, but not unpleasant either. The flavour is much more pleasant than the scent, the vanilla and honey hits first, the musk second. Much nicer than the smell of it, by a long shot, but for me this is rather a masculine plant – I know Hawthorn is one of those odd plants that seems to have both masculine and feminine characteristics. For myself, I know myself to be unyielding and inflexible at times, and I’d use this one to help me recognise my own limitations. The last time I really used hawthorn on its own for an energetic way of doing things was when I had an intense craving for hawthorn tea after tearing a leg muscle. I know myself to have problems with anger management at times, and never more so than when I am physically incapable of doing all the things I usually do. When I tore the leg muscle, I had been using martial arts to channel some of my inner rage, and having that outlet taken away from me was quite indescribable. The hawthorn flower allowed me the quiet space needed to rest the leg and not tear myself apart emotionally while I did so. I’d strongly recommend that anyone who tends to allow their warrior selves too strongly to the fore tries some hawthorn flower as it will allow better balance to that side of the nature. You don’t always have to be strong – sometimes you can allow vulnerability in. To do so doesn’t make you weak, for you can learn many lessons from being vulnerable that will in turn make you stronger in the future. Hawthorn can help you learn to choose your battles wisely and discern when to yield gracefully. Lovely post, Ali. I especially like the idea of the gradations of dosage using the elements – not come across that before but will use it! 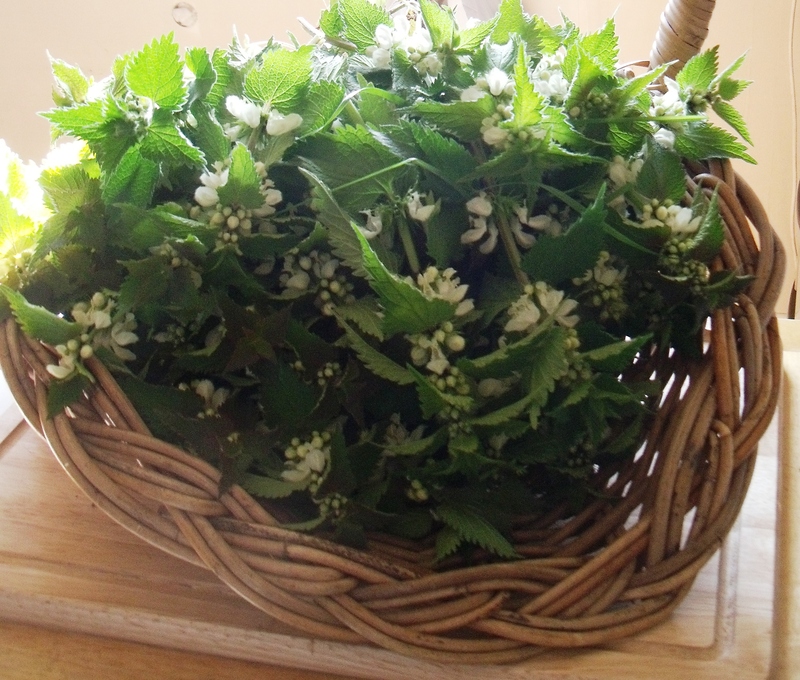 Nice to hear more about white deadnettle and hawthorn flower tinctures too. Hi Ali, I also love the way you have explained the dosages, it makes a lot of sense and is a really nice to consider when making formulations. 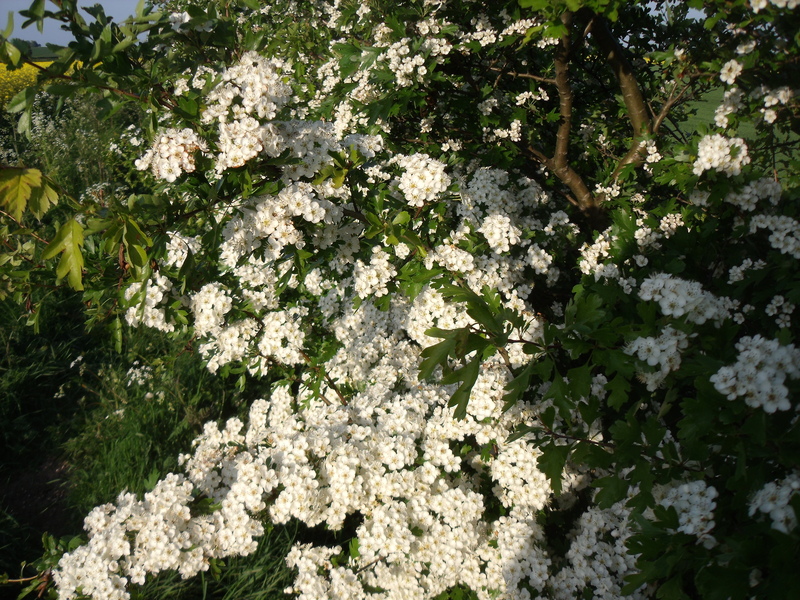 Interesting to read your experiences of Hawthorn flower tincture too. Last year I worked with drop doses of the flower tincture and this year I’ve been using the flower essence more. I loved the flower tincture for the sense of relaxation it gave me around my heart area and helping to let go of things. i think this seems similar to what you are describing in a way. The lamium flower tincture sounds great too, I’m interested to make some and compare to whole herb preparations. Great read, especially when it comes to the idea of working with these plants on a more intuitive level. I love flower essences for their lessons on intuitive intelligence, reawakening our yin healing energies. Valuable stuff, and as I’m healing a broken ankle as a sometimes impatient and “impervious” capricorn mother, Hawthorn calls! Since I can’t run off the impatience and fire, perhaps I can calm it enough to sit with it. Thanks! I found I learned rather a lot from my torn leg muscle, not least what my own limitations are – and I certainly think Hawthorn was intrumental in helping calm me down enough to learn anything from the injury in the first place. I suspect I’d have actually made the injury worse without it! The effects of flower essences can be experienced by everybody. The Bach Flower remedy has been found effective in adults, kids and even animals. Why not give it a sample?